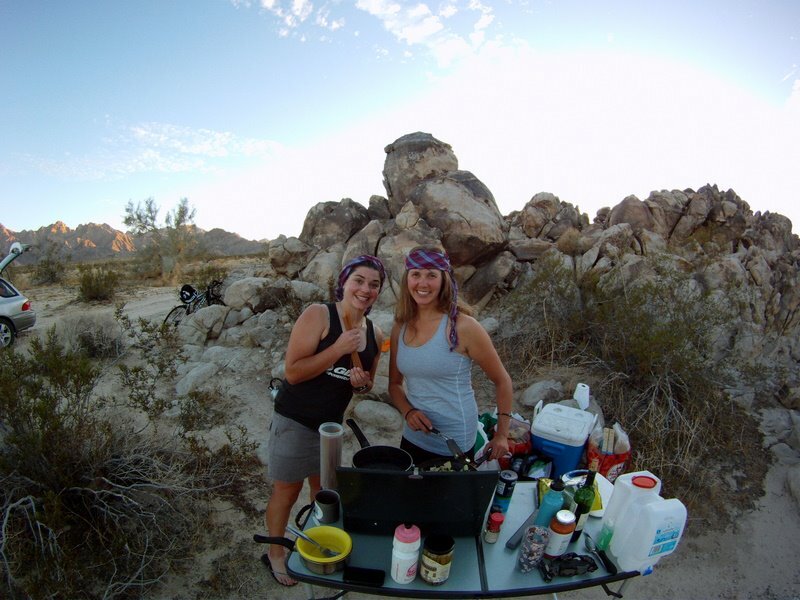 Note from Sara: I am lucky enough to have my dear friend Felice along on the SFT for a few weeks through the desert southwest. Please enjoy her tales of life on the road! While taking a break from my job working with professional athletes, I have found myself volunteering my time and pedal power to the amazing Sara on her School Food Tour journey. I spent the past summer surrounded by elite cyclists in my work as a “soigneur” for the Giant Mountain Bike Team and Team USA. My job title means I “care for the athletes”, providing massage and physiological support to elite cyclists at the highest level of competition. This amazing role presents me with numerous challenges and takes me to many beautiful locations across the world. In the last few days, the School Food Tour has presented me with new challenges, adventures and amazing scenery, and I have learned that the task of carrying out the Tour is an equally immense and admirable challenge as competing in world championship competitions. 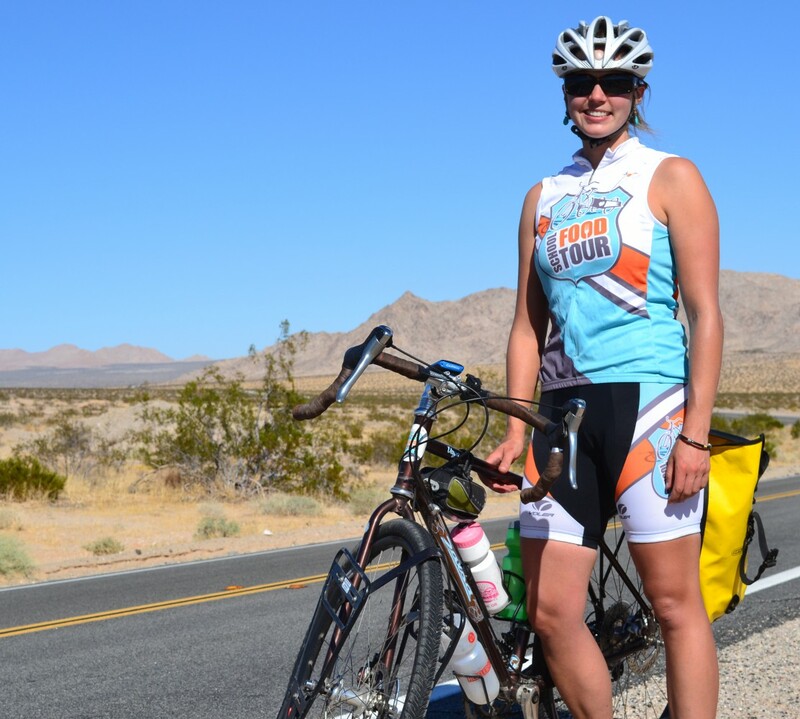 The first chapter of my School Food Tour experience commenced with a drive from hometown Bend, OR to Joshua Tree National Park, CA with my neighbour and local endurance academy coach, Brenna Warburton. We gained a new appreciation for the impressive distance that Sara had already travelled on the Tour since departing Bend in August when it took us 14 hours of zooming down the highway in my trusty Silver Subaru to find her. As an Aussie I had never seen a joshua tree before (and didn’t quite comprehend Brenna’s comical description), so it was spectacular to wake up to the cartoon-ish views in the National Park and be re-united with my old roommate for the first time since she commenced her pedal powered journey! 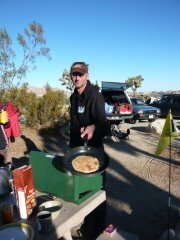 Equally spectacular was the serving of whole wheat pancakes cooked up by Truckee, CA Nordic ski coach Ben Grasseschi. The delicious meal and amazing views set the scene and kick-started the School Food Tour proper for Brenna and I. With our bikes re-constructed and water bottles filled, we set out on Sara’s declared route in the direction of Phoenix. 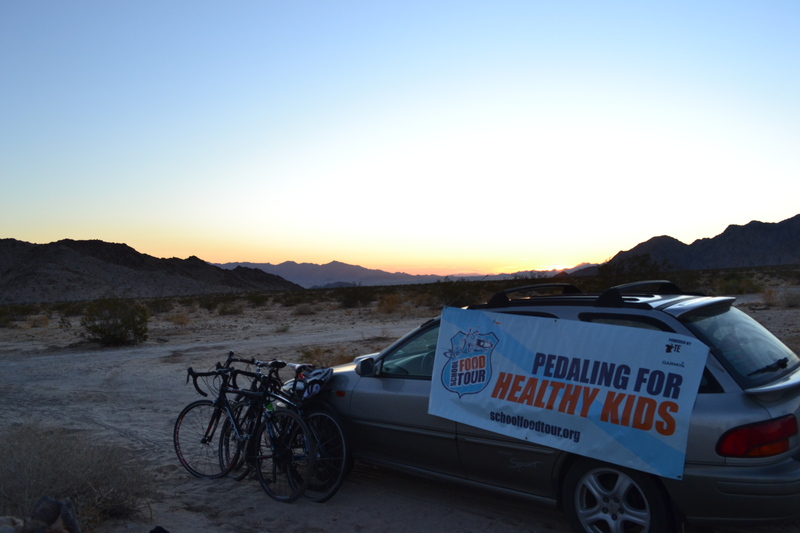 The next 5 days were filled with pedalling, camping under the stars, eating healthy food to fuel our legs, and most importantly, laughing our way across the desert from California and Arizona. Brenna and I swapped up the task of driving ahead to scout for camp sights, gather provisions, and ensure we had enough water before backtracking on bike to meet the crew and finish up the day of pedalling with Sara who was going the whole distance. 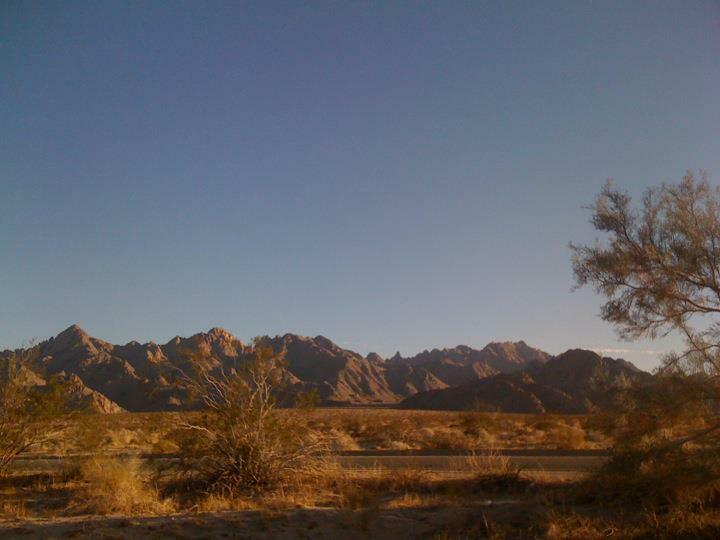 Seeing saguaro cacti and joshua trees for the first time! So cool – token tourist moments necessary! Lying under the desert sky and counting shooting stars and satellites with great friends. Finding out how fast I can sprint on a bike when there is a feisty dog in hot pursuit! The realisation of how far you can actually travel on a bicycle is incredible and I’m having such a blast that I have signed up for the next chapter of the Tour from Arizona to Texas. When are you going to join Sara? So inspring! Feel excited in my gut reading your blog! Wow. Modern day cowgirls and boys. Shout out to you from SB. A long way from the Colorado River! I’m with you in spirit! Feel like dropping it all and going for a ride! Ride on! hope you enjoying Americas inner beauty! !